Alzheimer’s Disease: This is the most common type of dementia. Alzheimer’s accounts for an estimated 60 to 80 percent of dementia cases. Vascular Dementia: Previously known as multi-infarct or post-stroke dementia, vascular dementia is less common as a sole cause of dementia than Alzheimer’s, accounting for about 10 percent of dementia cases. Dementia with Lewy bodies (DLB): People with dementia with Lewy bodies often have memory loss and thinking problems common in Alzheimer’s, but are more likely than people with Alzheimer’s to have initial or early symptoms such as sleep disturbances, well-formed visual hallucinations, and slowness, gait imbalance or other parkinsonian movement features. Mixed Dementia: In mixed dementia abnormalities linked to more than one cause of dementia occur simultaneously in the brain. 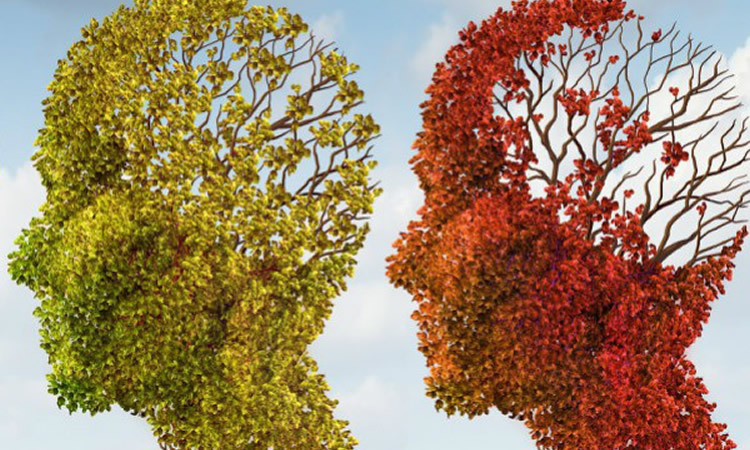 Recent studies suggest that mixed dementia is more common than previously thought. Parkinson’s Disease: As Parkinson’s disease progresses, it often results in a progressive dementia similar to dementia with Lewy bodies or Alzheimer’s. Frontotemporal Dementia: Includes dementias such as behavioral variant FTD (bvFTD), primary progressive aphasia, Pick’s disease, corticobasal degeneration and progressive supranuclear palsy. Creutzfeldt-Jakob Disease: CJD is the most common human form of a group of rare, fatal brain disorders affecting people and certain other mammals. Variant CJD (mad cow disease) occurs in cattle, and has been transmitted to people under certain circumstances. Normal Pressure Hydrocephalus: Symptoms include difficulty walking, memory loss and inability to control urination. Huntington’s Disease: Huntington’s disease is a progressive brain disorder caused by a single defective gene on chromosome 4. Wernicke-Korsakoff Syndrome: Korsakoff syndrome is a chronic memory disorder caused by severe deficiency of thiamine (vitamin B-1). The most common cause is alcohol misuse. As you can see, there are many types of dementia. Courtesy of South Arkansas Center on Aging.